Caring for a loved one affected by Alzheimer’s disease or other types of dementia can create moments of anxiety and at times a deep sense of helplessness. We understand the many challenges older adults and their families face when a loved one is experiencing a significant cognitive decline. 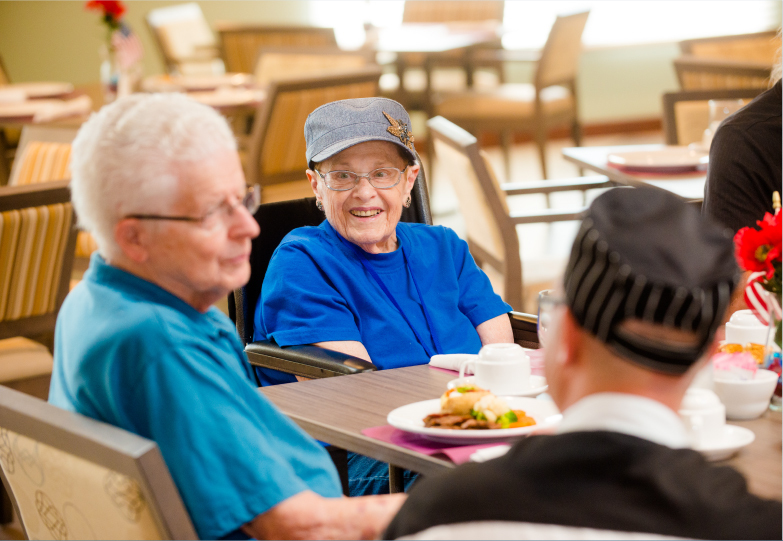 We believe there is a better way to care for seniors who are experiencing memory loss. Equilibrium® is our exclusive science-based memory care program that’s designed to create positive health and wellness outcomes. Equilibrium provides our care team the ability to take a proactive approach toward supporting our residents who are experiencing cognitive decline. Our experienced and compassionate Equilibrium activities program directors take a proactive approach with residents who are experiencing some cognitive decline. Using a combination of art, music, mindfulness, and cognitive therapies, we help keep minds engaged, bodies active, and spirits high so residents remain as healthy, happy, and safe as possible. We provide real-time feedback to residents and their families on how our Equilibrium activities approach results in positive health and wellness outcomes for its participants. Equilibrium stimulates the brain and measures how each resident is feeling daily, so therapies and activities can be continually adjusted to achieve maximum functioning and satisfaction. Our caring team of professionals receive special training in the Equilibrium program so that they are able to understand and meet the needs of our residents, while keeping them engaged in life.